Booting your classic 68k Macintosh from a 3.5 inch floppy disk was the most common and the easiest way to get most classic macs working when your starting with a more modern machine (most, but not all, more on that in a bit). This post focuses on 3.5″ High Density (HD) disks that can be created using modern USB floppy drives. I will create separate posts describing how to get started using 400k and 800k floppy disks using either a intermediary Macintosh that supports both these the HD format, or using floppy-emu to emulate these old drives. There are also several other options, that you should also look in to if you plan to start playing with these 1980s and 1990s systems. You have a working 3.5″ USB floppy drive and some disks. That the floppy drive in the old Macintosh you’re trying to boot hasn’t failed (common problem is the deterioration of the auto eject gears). You plan to use an internal or external hard drive (or equivalent), to actually make use of your Classic 68k Mac (all versions except the Macintosh 128k support some form of external or internal hard drive). If you do not have a hard drive or equivalent, there are other options such as: using a RAMDisk, a CD-ROM, or running applications off another system using Apple Share over Local Talk, or Apple Share over Ethernet. 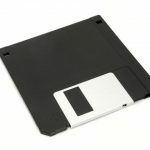 For this post, I used an external 3.5 inch, USB 1.44MB floppy drive I picked up a few years ago when I retired the last of my “more modern” computers with a built in floppy drive. As I write this (late 2017), the price of these drives are in the $10 to $20 CDN range, what’s becoming expensive are the disks themselves, they are about $30 per package of 10 (these used to be closer to $3 per package of 10 or less in the 90s). The 128K, 512K, 512Ke, and Plus do NOT support this method. An OS 6.0.8 Boot disk for older 68k systems that may only have 1MB of memory installed. The SE/30, Classic, Classic II, Portable, II, IIx, IIcx, IIci, IIsi, LC typically shipped with only 1 MB of memory. I’ve managed to track down a scan of the Apple Memory Guide from November 2000 (pdf) that shows how to upgrade the memory for these and other 68k systems. An OS 7.5.0 Boot disk for most of the 68k systems (should work for all except the Powerbook 190 and 2300) that have 2MB or more memory installed. The system folders for either System 6.0.8 or System 7.5.5, containing the “minimal” files to boot. I’ve created 4 different versions of each image, the first .dsk format can be used with emulators and floppy-emu, and is the default version for the methods described in step 3 to write to a physical floppy disk. The other versions are in Disk Copy 4.2 formatted, and if you know what that is, you already know how to used these. I’ve created a separate post that describes how to copy .dsk images back on to a physical disk. 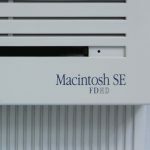 Macintosh 68k, Setting Up your 68k Macintosh Booting, HPVExplorer, Linux, Macintosh 1.4MB Floppy, Macintosh 400k Floppy, Macintosh 800k Floppy, Macintosh System Software, OS X, SuperDrive, Windows. permalink.